My interest with South Africa’s oldest hip hop group, Black Noise, began when I read chapter seven of Hip Hop and Social Change in Africa: Ni Wakati. 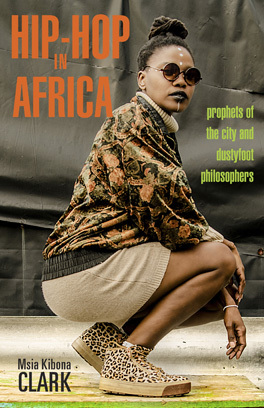 Here, the author explained the significance of the “colored” community in South African hip hop and the emergence of an Afrocentric blend of Khoi/San traditional music and hip hop–dubbed “Khoi-pop.” Black Noise was listed as being one of the pioneers of the genre. My first experience listening to Black Noise was spent analyzing their song “Black is Back.” The title seems to fit with the Afrocentric quality present in the Khoi-pop genre. The beat begins with what almost sounds like a James Brown song (or some other 1970’s hit from Black America). A female vocalist is then accompanied by a fast/upbeat hip hop rhythm. The style reminds me of an early 2000’s fusion of US r&b and hip hop. After she finished singing the chorus one of the lead rappers started the first verse which was full of Afrocentric and Khoicentric references. Some of which included the following: “What it look like? Mad fingers on the deck/It’s all about the culture and the spiritual connects…The Khoisan is back and the change will be next.” In this verse the artist also made references to the transatlantic slave trade and the five elements of hip hop (deejaying, b-boying, graffiti, emceeing, and knowledge): “One love for my people in the hood/…The five elements always make you feel good/The black noise is back make your body want to move/nobody move, nobody gets hurt/For five centuries all my people get whipped/for five centuries.” Much of the rest of the song follows the same trend. Black Noise is an excellent example of Khoi-pop music and the problack identity it holds. In Hip Hop and Social Change in Africa: Ni Wakati discusses this identity preference as a protest against the “colored” identity and the discrimination coloreds face in South Africa. To compare Black Noise to a group in the united states I decided to look for a group (rather than an individual) whose popularity began in the 80s/90s, and who also believed in Afrocentricity. X Clan was almost a perfect match. Their hit Heed the Word of the Brother serves as a good example. Although this song takes on a much more militant aesthetic (images of civil rights demonstrations, Harriet Tubman with a gun, and lyrics that are more aggressively Afrocentric) their cultural and political focus is similar to that of Black Noise. Heed the Word of the Brother contains the following lyrics: “Great blackness brought from the genesis/Won’t exist ‘til armageddon is a witness/The originals built the Earth.” And others such as “The key opens knowledge and plays as an antenna/Americana man, Africana brother/ Don’t forget the land cause the birth is from the mother.” X Clan, and other pro black groups during their day were landmarks in Hip hop’s social/political development. Like Black Noise, this development is centered in a Pan African/Pan Black identity.